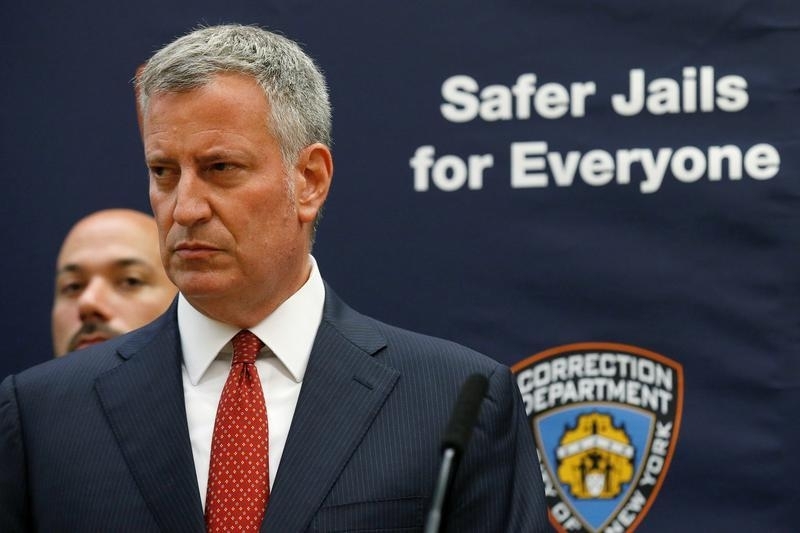 New York, NY - Mayor de Blasio and the Mayor’s Office of Criminal Justice today announced the creation of an online bail payment system that will help avoid unnecessary jail time by making it easier to post bail. The system – developed as part of the Bail Lab – will allow the friends and family of those incarcerated on cash bail to pay bail online, by phone or by kiosk rather than make the costly and time-consuming trip to a Department of Correction facility. This service will be available system-wide by Spring 2017. Obstacles to paying bail play a role in an estimated 12,000 unnecessary jail stays every year, Improving bail payment helps reduce the risk of recidivism associated with just a few days behind bars, as well as the high costs of booking and keeping someone into jail. Bail is set during someone’s first appearance before a judge, at which point a defendant does not have access to their bank account, a cell phone, or their wallet. To pay bail, a defendant needs to have a friend or family member in court who can pay the bail immediately in cash. Friends and family typically only have a couple hours to post bail before the defendant is transferred to jail. Once a defendant is in jail, friends or family must travel to Rikers Island or another Department of Correction facility in order to pay bail. Lengthy travel times, going through security, and long lines in cashiers’ offices mean this process can often take hours. A similar online bail payment system in Westchester County saved 77 individuals a collective 625 nights in jail over a three-month period. The ability to pay bail online and by phone is the latest step the City has taken to make bail payment easier and faster. •	Installing ATMs in every courthouse, to ensure that friends and families have easy access to cash at all hours. •	Providing friends and family with a first-of-its-kind complete guide to the bail system to help navigate a complex system and ensure that a loved one does not spend unnecessary time behind bars. •	Working with the City Council on legislation to eliminate fees associated with paying bail. Yup !!! Always trying to make the the lives of the good citizens of NY easier !!!! I love the logo "Safer jails for everyone." I see he is not promising safe jails, just less-dangerous ones.